Molly Taylor has always known that flying was in her blood, equally as much as the profession of nursing. For nearly four years Taylor, of Winchester, has been able to combine her passions by working as a flight nurse for Air Evac Lifeteam, an air ambulance provider. Taylor’s work as an Emergency Medical Technician (EMT) began early. While in nursing school, Taylor worked as a volunteer EMT in the Winchester area. After her completion of nursing school, she worked for several years in a hospital setting. However, when the opportunity arose to work as a flight nurse, Taylor jumped at the chance. “It’s a combination of critical care nursing and EMS, so for me, it is the perfect blend,” stated Taylor. Taylor’s career with Air Evac Lifeteam began in Pawnee, Illinois. 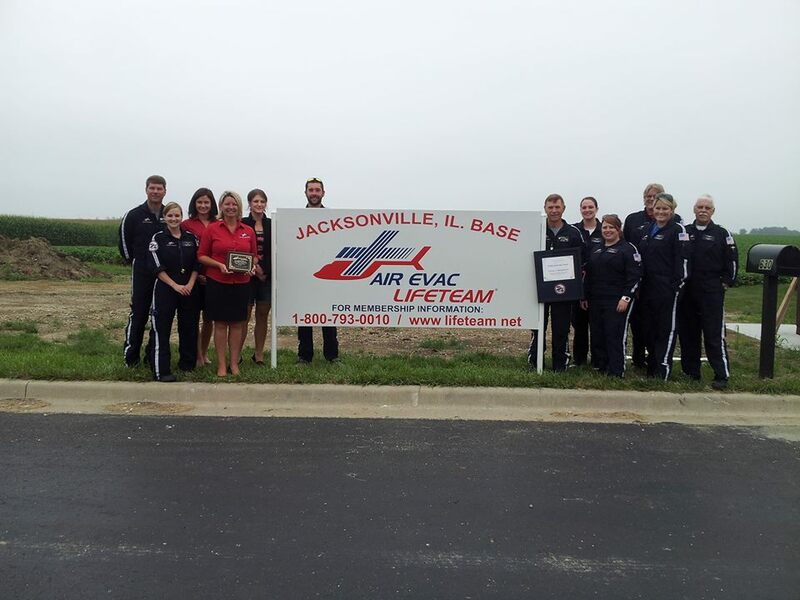 However, in July of 2013 the decision was made to move Air Evac Lifeteam 27’s base from Pawnee to Jacksonville. “We saw the need for access was greater in the Jacksonville area than in Pawnee, as that town is centrally located next to two large trauma hospitals in Springfield. We provide access to smaller, more rural areas to quickly transport critical patients to larger hospitals,” Taylor explained. 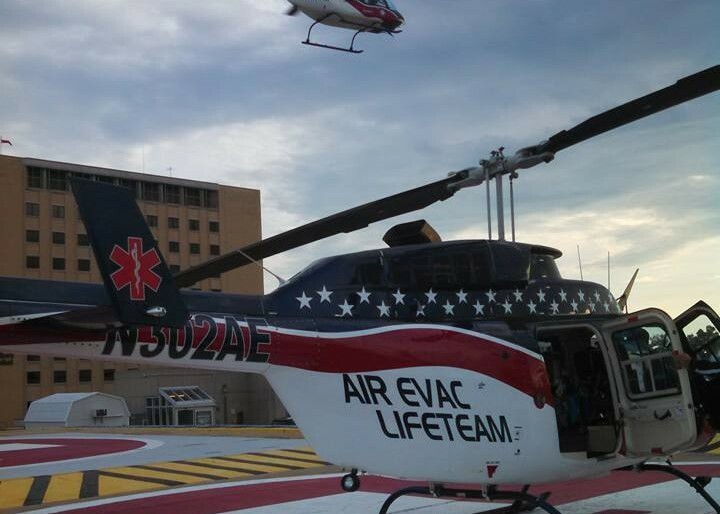 Air Evac Lifeteam’s flights can be divided into two basic categories; scene flights and hospital transfers. Hospital transfers are provided for critical care patients who are in need of quick transport. 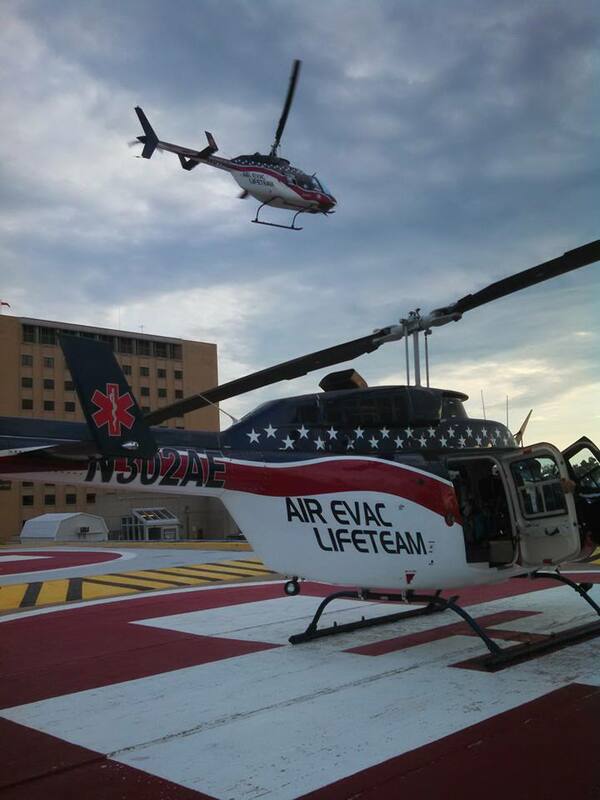 Air Evac Lifeteam frequently transports patients from hospitals in Jacksonville, Carrollton, Rushville, and Pittsfield to larger hospitals. 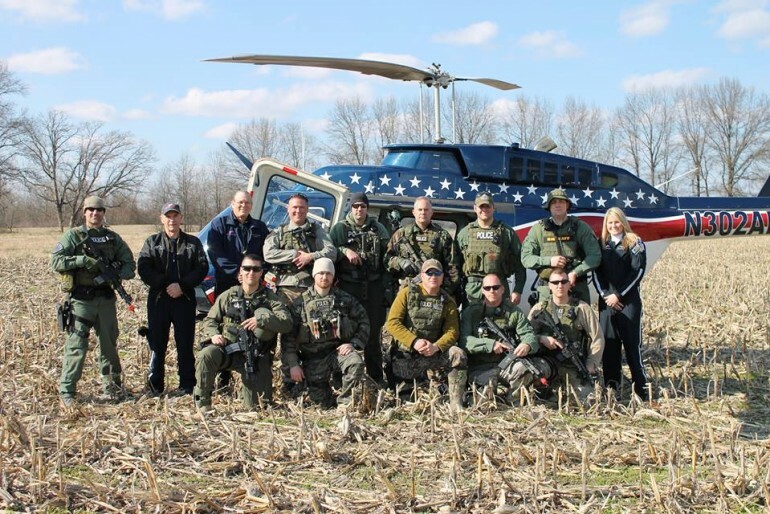 One of the most common flights for Air Evac Lifeteam involves transferring acute heart attack patients from small, rural hospitals to the Prairie Heart Institute, located at St. John’s Hospital in Springfield. Unlike hospital transfers, scene flights involve landing at the location of an accident. “If EMS get to the scene of an accident and decide that the patient needs to be airlifted from the sight, we will fly directly to that location. Sometimes, when EMS gets dispatched and the initial information indicates that the patient is unresponsive, we will be launched immediately, even before EMS arrives. This is done so that we can get proper medical care for the patient as quickly as possible,” said Taylor. Air Evac Lifeteam’s highly skilled pilots are trained to land the helicopter on a variety of terrains, including football fields, farms, and highways. “We currently have four pilots on staff, and three of the pilots are retired military members. One pilot is retired from the Army, and two were Marines,” disclosed Taylor. In addition to the pilot, each Air Evac Lifeteam flight minimally contains one flight paramedic and one flight nurse. When the crew is not attending to a call, they spend the large majority of their shifts updating and practicing their medical skills. 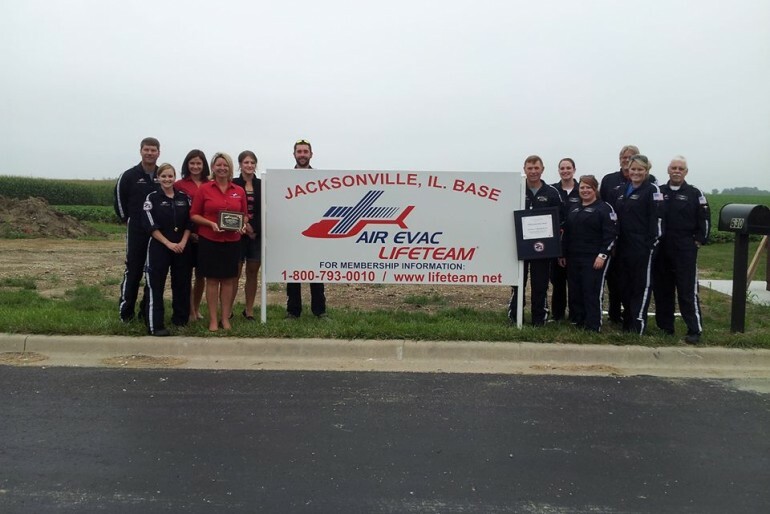 They also frequently visit hospitals, EMS agencies, and fire departments in the surrounding area in order to educate others about the services provided by Air Evac Lifeteam. In addition to serving as a flight nurse, Taylor is also the base critical lead. As the base critical lead, Taylor is change of doing outreach education for the community. One of her biggest duties is informing individuals about Air Evac Lifeteam’s membership program. “We have a membership program, and there are different types of subscriptions and payment plans. For one family, one household, the cost of membership is 65 dollars a year. That membership provides coverage for any out of pocket cost in the event that anyone in your family would need to be airlifted. You would never personally get a bill, your membership fees would cover it,” Taylor added. Jacksonville’s Air Evac Lifeteam is located behind Passavant Area Hospital. More information about the agency can be found at www.lifeteam.net.